Allows Facebook users to search your company website directly from your Facebook Fan Page. 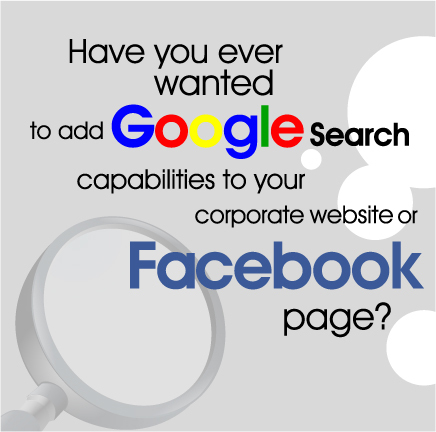 Allows you to perform Google Searches directly from your personal home page without leaving Facebook. Allows you to add a search box to your website so visitors can navigate your full site using Google Search.